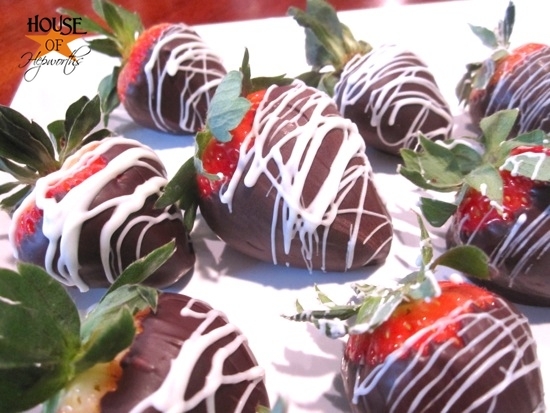 Chocolate Covered Strawberries are a yummy Valentine’s treat, but they are pricy! I refuse to pay $5-$10 for four strawberries. 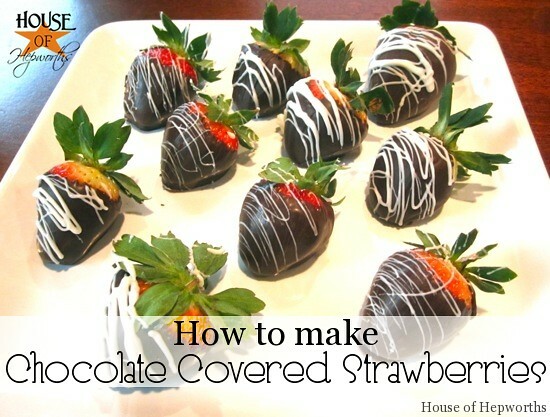 Fortunately, years ago I learned how to make my own Chocolate Covered Strawberries. You will be shocked when you realize how easy and inexpensive they are to make. Never pay inflated prices again! First, you want to gear up. 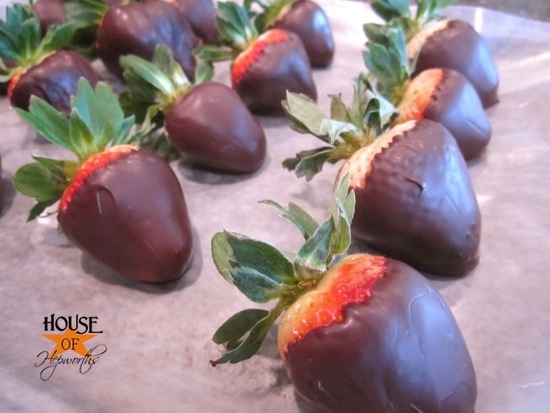 You will need fresh strawberries (washed), chocolate, and a cookie sheet with wax paper. I prefer Dolci Frutta which can be found on the baking isle or near the fruit section at your local grocery store. However, you can also use chocolate Ambrosia Bark Coating. 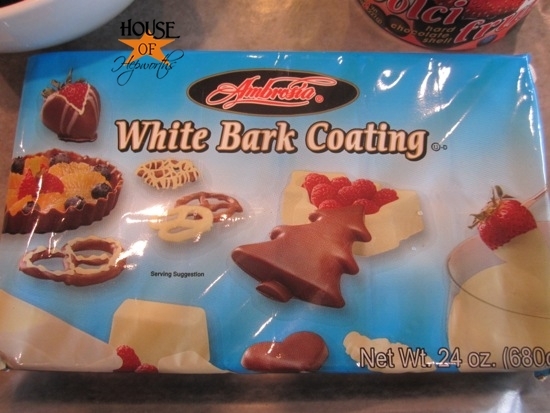 I do use the Ambrosia White Bark Coating to make the white drizzle on the top. 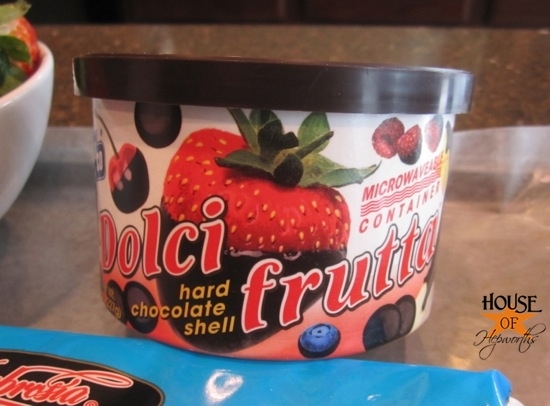 I personally think the chocolate Dolci Frutta tastes better, but they are both good. The Bark Coating can also be found at your local grocery store on the baking isle. 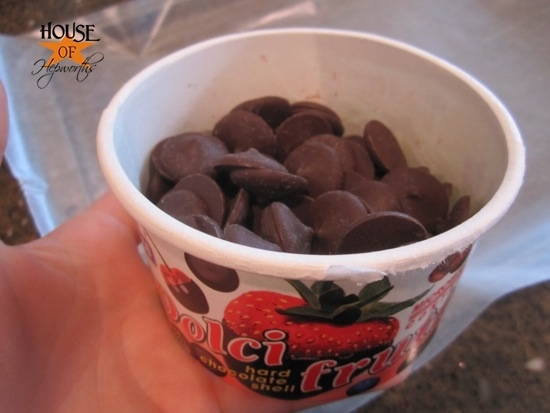 Start by melting the Dolci Frutta in the microwave per the instructions on the side of the container. 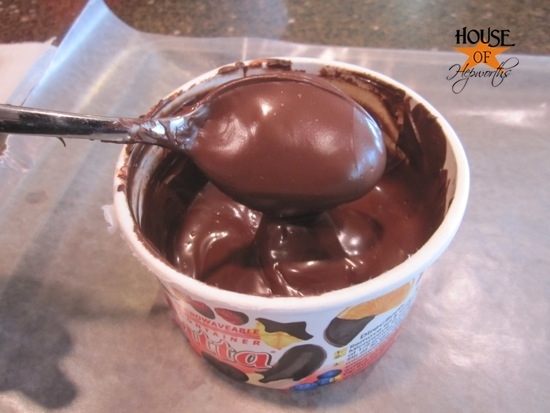 It starts out as little chocolate discs that melt quickly. Be careful not to overheat the chocolate or it will either burn or will get very clumpy and hard. I usually melt mine in the microwave on high for 30 seconds (twice) then a final 15 seconds. 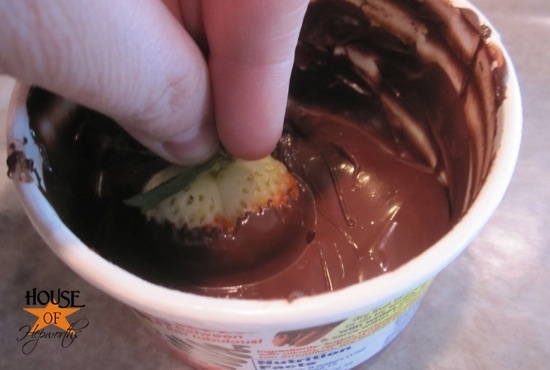 When the chocolate is melted, take the strawberry by the green leafy top and dip it into the chocolate. 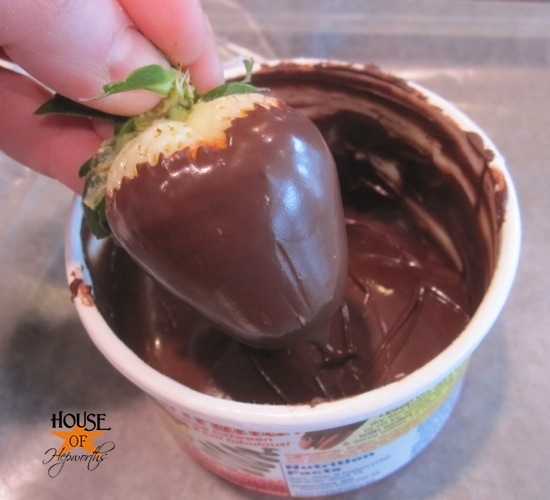 When you pull the strawberry out of the chocolate gently shake it back and forth above the chocolate to get any excess chocolate off. 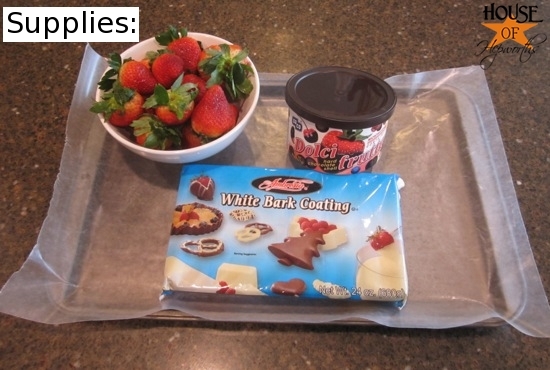 Place the strawberry on the wax paper to cool and harden. 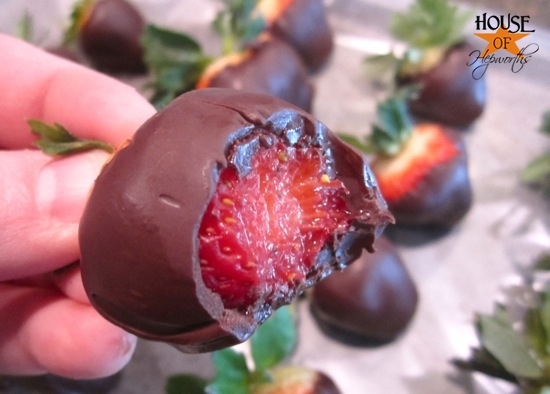 Keep dipping your strawberries until you run out of berries or chocolate. That’s it. Isn’t that so easy? And so much cheaper than those overpriced ones at the candy shop??! Once the chocolate hardens, they are ready to eat! If you want to get extra fancy, you can take it a step further by adding white drizzle to the tops of them. 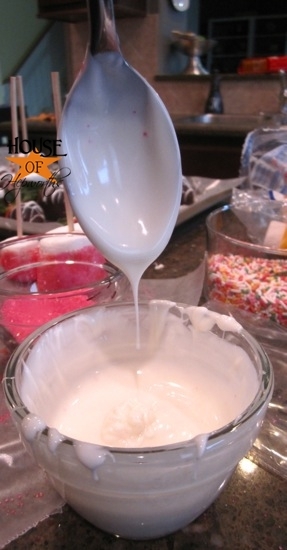 Adding the white chocolate drizzle is ridiculously easy. You don’t even need a piping bag or anything! All you need is the melted Abbrosia White Bark Coating and a spoon. When your white bark is melted, stir it with your spoon. 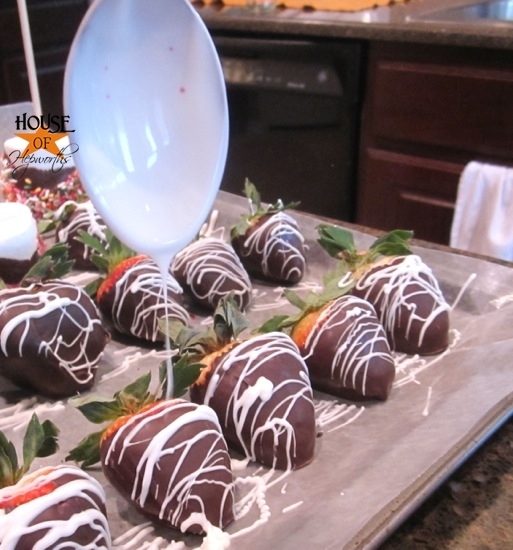 To add the drizzle, simply pull the spoon out of the melted white bark and move the spoon over the tops of the strawberries, about 6″ above the strawberries. 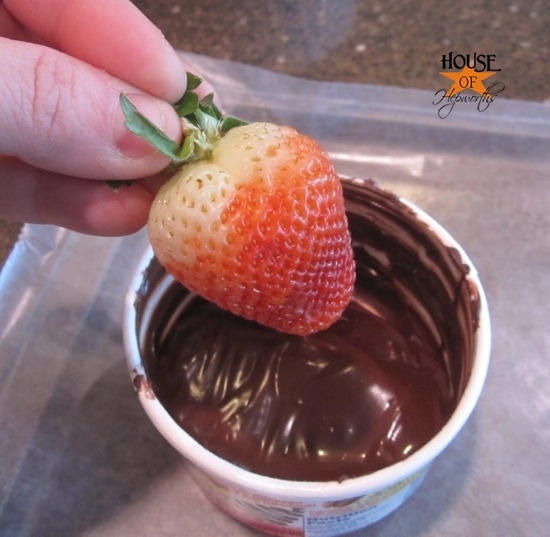 It will literally drizzle off the spoon and onto the strawberries. The faster you move the spoon, the thinner the drizzle. Simple as that. 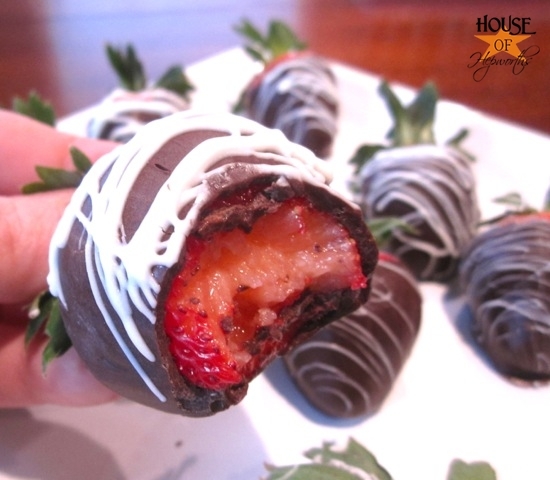 The drizzle will get all over the wax paper as well as the strawberries, but it doesn’t matter. You can just throw away the wax paper when you are done. When they are all dry, you can remove them from the wax paper and place them on a pretty plate. We like to make these for our friends and neighbors. 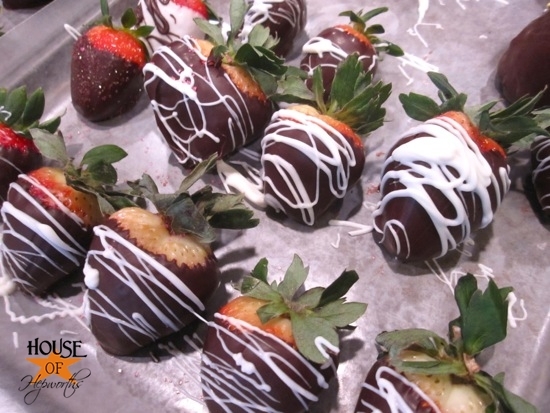 Everyone loves Chocolate Covered Strawberries! I bet you never realized just how easy they are to make. Stop getting ripped off and start making your own treats! Yum yum. 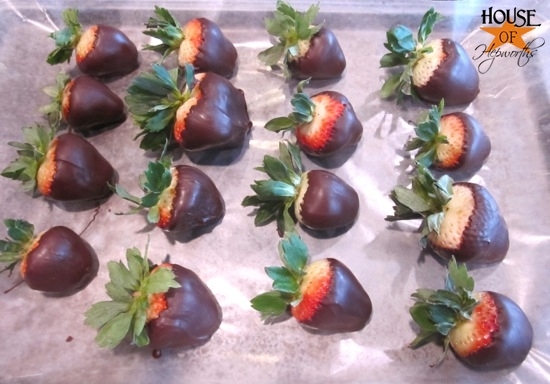 I love making my own chocolate covered strawberries! Another way of decorating them is to use the pre-made cookie icing, its prepackaged in the baking isle next to the sprinkles. I use it for all different occasions, to draw laces and make them look like football for superbowl, the red to draw hearts for Valentines day, the green to make clovers for st. Pattys etc…the possibilities are ENDLESS! Plus, the left over cookie icing is great to use for actual cookie decorating. Yum. I did the same thing yesterday (with pretzel rods instead of strawberries). I couldn’t believe how easy it was! I wish it wasn’t so late at night when I did them, otherwise I would have added the drizzle too. A couple of errors in your recipe. First, “Shake off the extra chocolate” – there is no such thing as EXTRA chocolate. Second. “Throw away the wax paper with the drizzles on it” – what, maybe throw it away after sucking off all the white chocolate!!. 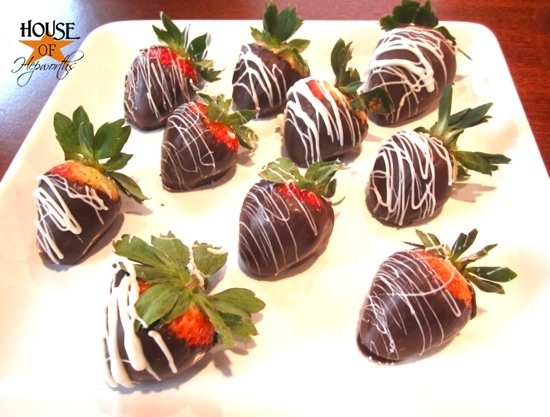 Love your blog, and yum-o on the strawberries. Thanks for the inspiration Allison! 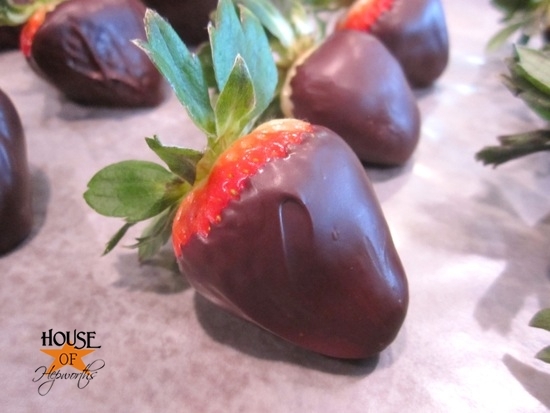 I made these yesterday and they were a big hit – yum! Wow it really looks delicious and to think that its just so easy to make is so crazy! I thought it needs some chef’s expertise to do it but only dipping and sprinkling will make this yummy looking treat, it’s so awesome. I bet kids would love make this also.